Sunday saw me heading off to Baston in Lincolnshire. 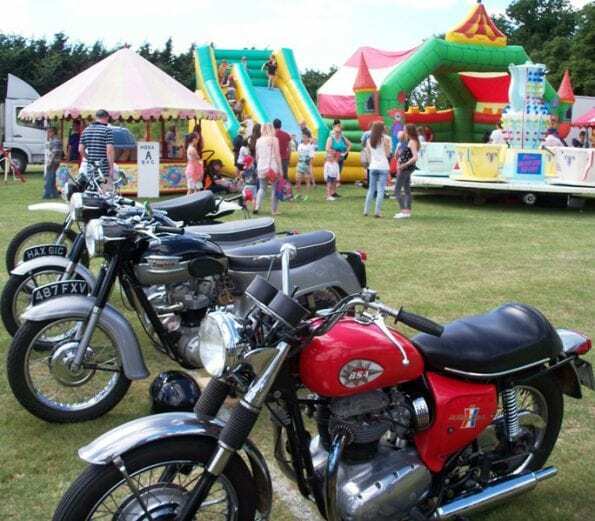 This car and bike show has only been going a few years but it has really taken off, and this year it had to move to a larger field. I had a nice ride there; the weather was a little cloudy to start with, but this soon brightened up, which always helps to get visitors to come along. Baston is a few miles south of Bourne on the A15. 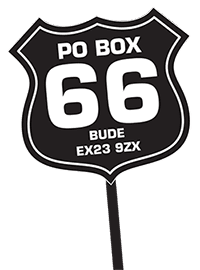 This year the organisers had moved the entrance to the show to directly off the A15, with a three-way temporary traffic light system to allow vehicles to get in and later out of the field. The stewards had done a great job; going onto the field there were two lanes, one for motorcycles and the other for cars. The field was marked with white lines and if you were on a club stand this was marked out and named. 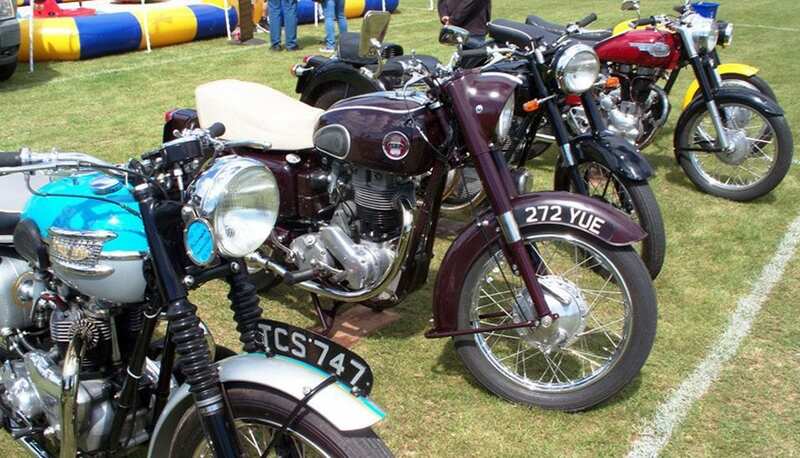 I spotted a good place to leave my outfit and then realised that I had parked on the Vincent Owners’ Club stand, so I move it elsewhere… The joy of this show is that, as a single entrant, you can just turn up on the day without pre-booking. However if a club or group are arriving together then you need to inform the organisers and they will set you out a space for your bikes. 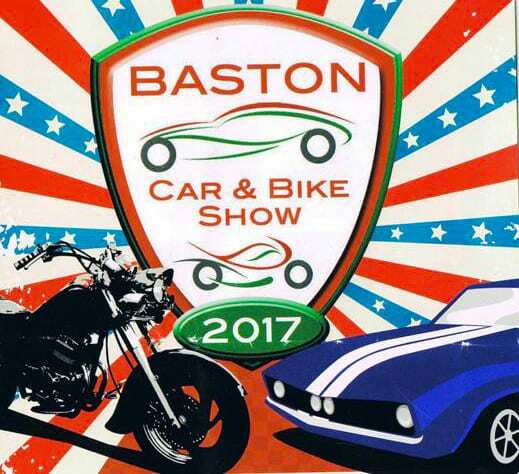 This show is massive and a bit different to most classic shows in that motorcycle dealers bring along new machines for you to sit on; car dealers also bring along their latest models for you to look at. Saying that, there were plenty of classic vehicles to view as well. I think a total of a couple of hundred two-wheelers of all ages turned up. All entrants received a show sticker and a show guide. The show opened to visitors at 10am and finished at 4pm. The motorbike area was large, with plenty of space. 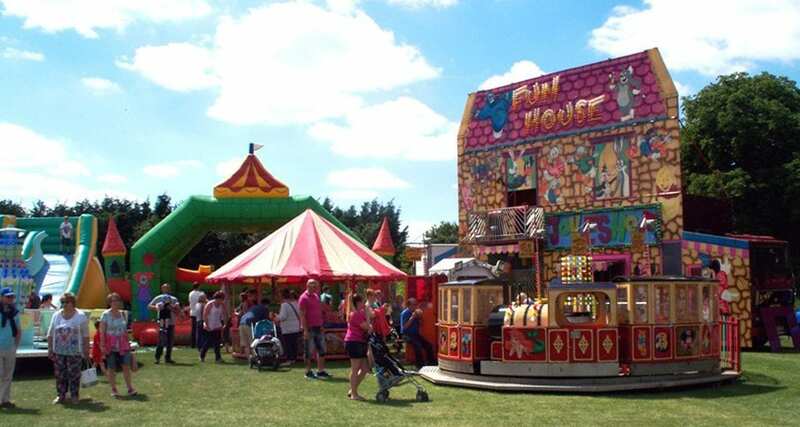 We were close to a section of fairground rides, and it was nice to have something for the children to enjoy. 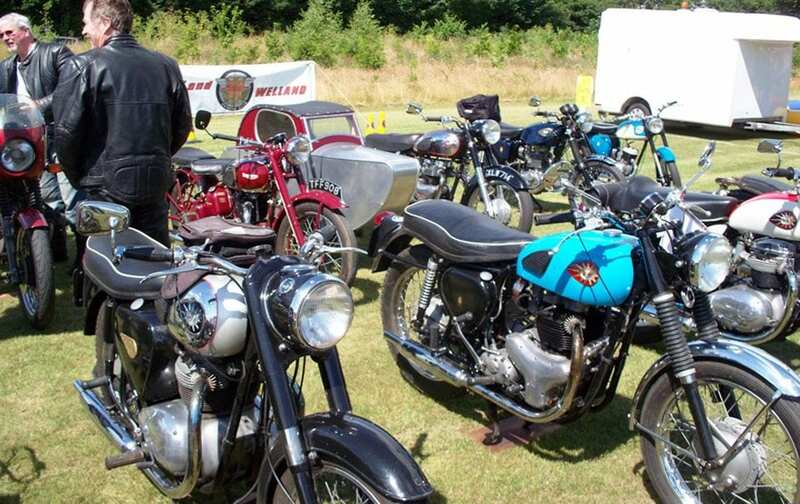 In a corner of the field close by was an area entitled ‘Made in the USA’, with American cars and motorcycles here. Sycamore, a local Harley-Davidson dealer, had several bikes on display, and this firm also sponsored the stage with music being played and the Harley beer tent. The music started at 11am. I saw a couple of guys singing and playing guitars; these guys were good. Later a trio turned up, but there were four of them! As the lead singer explained – they had picked up another player on the way in. Between them, the musicians covered a mixture of popular music, jazz and folk. Plenty of food outlets gave you a wide choice, and these people were busy. One little three-wheeler vehicle serving a wide range of coffees ran out of water a couple of hours before the show ended! The trade stands were close by, of which there was a good selection. One of the dealerships had a climbing wall installed, for the more energetic to enjoy. At noon the judging started for the Best Bike and Best Car in the show. Then at 1pm the show offers something a bit different: when you hear the klaxon you start your engines, switching them off when you hear the second klaxon. At 2pm the Best in Show awards were announced. There is so much for the classic enthusiast to enjoy at this show. Wandering amongst the cars I spotted a couple of Douglas motorcycles. One was a ladies’ model, dated 1913; this was the oldest bike that I spotted today. 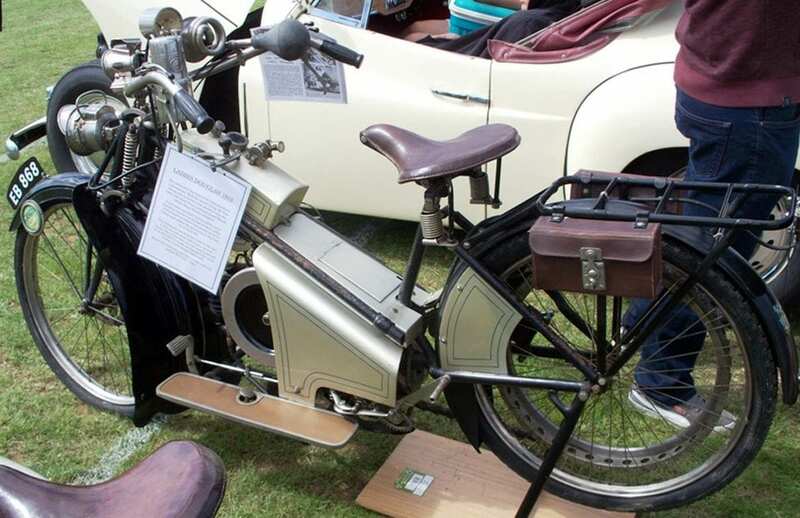 An interesting point on this machine was that the leg shields were fitted to the front mudguard – very clever! 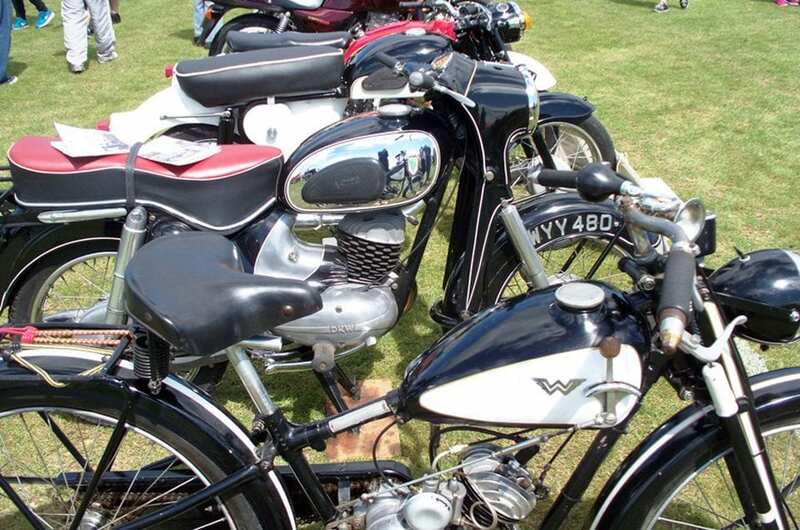 The Nene and Welland BSA Owners’ Club had a nice collection on motorcycles on display. I usually meet up with members of this club at a few rallies over the course of a year. The organisers had plenty of pieces of plywood cut up big enough for your centre or sidestand if needed in all the motorcycle areas; these people certainly have an eye for detail. The show finished at 4pm, and the stewards were very busy marshalling the vehicles back onto the main road. The show committee had done a great job; this is a really well-run show and certainly well worth the ride, with plenty of classic vehicles to look at and remember.